Gaffar Khan, A., Ul Huq, S., Nazmul Islam, M. (2019). Job Satisfaction of Garments Industry in a Developing Country. Management Studies and Economic Systems, 4(2), 115-122. Abdul Gaffar Khan; Syed Moudud Ul Huq; Md. Nazmul Islam. "Job Satisfaction of Garments Industry in a Developing Country". 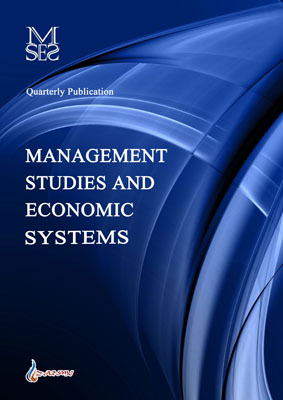 Management Studies and Economic Systems, 4, 2, 2019, 115-122. Gaffar Khan, A., Ul Huq, S., Nazmul Islam, M. (2019). 'Job Satisfaction of Garments Industry in a Developing Country', Management Studies and Economic Systems, 4(2), pp. 115-122. Gaffar Khan, A., Ul Huq, S., Nazmul Islam, M. Job Satisfaction of Garments Industry in a Developing Country. Management Studies and Economic Systems, 2019; 4(2): 115-122. The Readymade Garments (RMG) industry occupies a unique position in the Bangladesh economy. It is the largest exporting industry in Bangladesh, which experienced phenomenal growth during the last 25 years. More than 78 percent of Bangladesh’s export earnings come from the garments industry. The industry plays a key role in employment generation and in the provision of income to the poor. Nearly four million workers are directly and more than twelve million inhabitants are indirectly associated with the industry. But their satisfaction level of working in their workplace is always neglected. So, this paper attempts to underpin the factors that influence them working with great extent of satisfaction. To support this paper, we conducted primary survey on 100 respondents who are working in different garments factories of Bangladesh. Particularly, descriptive analysis, correlation matrix and regression analysis are the primary tools used for the data analysis. The analysis shows that 7 factors have been influenced quite significantly while relationship between co-workers and supervisor has no significant impact on overall job satisfaction of the workers. This paper also provides a number of insights for the potential think tanks and stakeholders of the country.